Whether you're intending to stay for a couple of days or longer, Jervis Bay is an ideal place. Sydney, the state capital, can be found roughly 150 kilometres to the north of this destination. Alternatively, Sussex Inlet is 11 kilometres to the west. Enjoy the fresh sea air, set up a game of footy or just sit back and watch the clouds roll by at Paradise Beach Reserve or Collingwood Beach. These picturesque coastal areas are a great place to go to take a break from sightseeing. Be captivated by the breathtaking views and that clean, open air at one of this region's nature reserves. Booderee National Park and Galloway Red Kite Trail are just two popular places. If you are in this neck of the woods, try White Sands Walk. The Jervis Bay Maritime Museum is an excellent place to hear of the area's fascinating nautical past. Keen on a bit of maritime history? Take a trip to Point Perpendicular Lighthouse to come to grips with one of this destination's top coastal attractions. If your definition of a great trip includes smacking golf balls down beautiful fairways, head to the Vincentia Golf Club. If you're feeling short on unvisited attractions but haven't run out of holiday time, you'll still discover a couple of interesting attractions in this area. 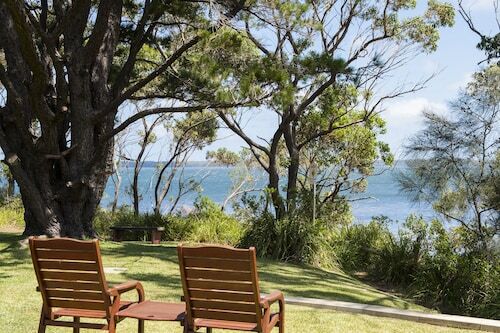 While the majority of holidaymakers seem to pass over the Saint Georges Basin Country Club and Jervis Bay Marine Park, they can be worth a visit. 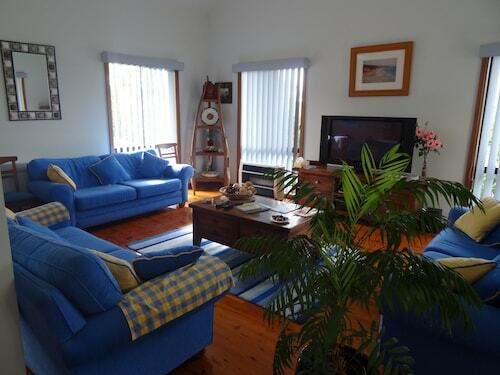 This Jervis Bay cottage is on the beach, 0.1 mi (0.1 km) from Bherwerre Beach, and within 9 mi (15 km) of Hyams Beach and Booderee National Park. 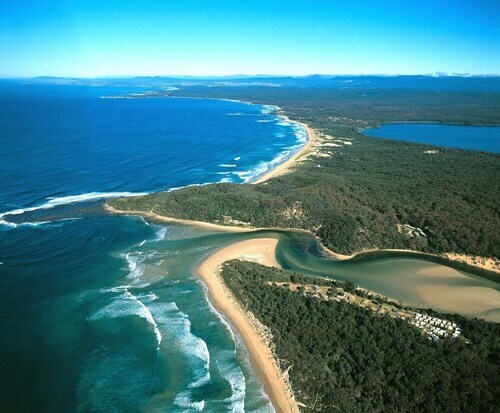 Greenpatch Beach and Cave at Caves Beach are also within 12 mi (20 km). 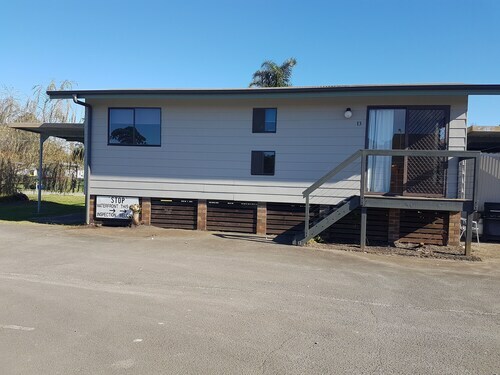 Situated in Sussex Inlet, this apartment building is 2.3 mi (3.7 km) from Conjola National Park and 2.8 mi (4.6 km) from Swan Lake. Cudmirrah Beach is 3.3 mi (5.3 km) away. 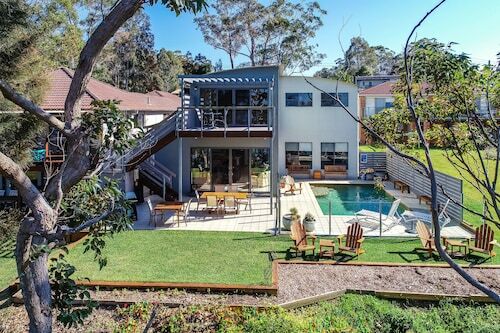 Situated near the beach, this romantic bed & breakfast is within 1 mi (2 km) of Nelsons Beach and Vincentia Golf Club. 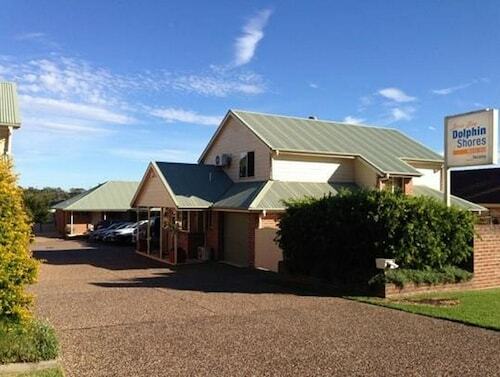 Huskisson RSL is 3.5 mi (5.6 km) away.